Winter is already here. No, its not a comment on the prevailing weather conditions or some unispiring Game of Thrones reference. It’s what best describes Zimbabwean telecoms and the general business environment. One news item that’s been trending all day is how Econet Wireless, the country’s largest mobile operator, and in a lot of respects a beacon of success in terms of corporate performance, has reduced its staff’s salaries by 35%, starting next month. This wasn’t an unexpected move. In fact, the staff was notified of these changes, though it wasn’t stated how much of an adjustement would be made, and to whom. It’s not just Econet staff that have been affected. It has been reported that its subsidaries, Mutare Bottling and Liquid Telecom, will also be affected by these adjustments. All this has been attributed to forced tariff reductions effected by the telecoms regulator POTRAZ, as well as additional costs that mobile operators are now facing due to taxes on airtime. Besides these industry specific issues that have made telecoms more challenging, it’s hardly been a great year for Econet. According to its latest financial results, revenue and profit declined, it still is faced with capital expenditure obligations that come as a consequence of plans for network rollout, It’s had to deal with the challenges of bad debtors, voice revenues which make up a huge part of revenue continue to decline and the operating environment is hardly the best for any sort of business. At the risk of sounding like a prophet of doom, this action by Econet is a fair indicator of what sort of adjustments other operators are likely to consider in the short to medium term. One huge cost for telecoms operators is labour, and if you can’t afford to let go of staff, salary adjustments are what follow. For now, this looks like its just the first wave of a very tough period. That’s not to say that salaries will be lowered again or people will get retrenched. It’s just that the reality is most of the factors that have been pulling Econet and every other operator back are beyond their control. Legislation on taxes doesn’t just go away easily, especially with the way national coffers have been a bit dry. The issue of tariffs doesn’t seem like its negotiable either. In fact, POTRAZ has actully primed itself to force operators to lower these tariffs at the end of this year and next year as well. The huge and incredibly complicated puzzle called the Zimbabwean economy won’t be solved by Econet or the other operators as well. The only salvation lies in improved fortunes through better performances. In a company like Econet that’s listed and for the better part run by decent mangement, reversed salary reductions, bonuses or increments can only be a factor of great results. To do that in this economy requires the best approach to product and service rollout which considers issues like price and product fit. In Econet’s last financial results, the star worth watching was data and broadband, followed by financial services in the form of EcoCash and its all its kin. We know that Econet has always championed mobile money related services, that approach won’t change. But while it seems like Econet has already started fiddling with its internet services model, it’s going to take a lot more than just a hit and miss affair to turn broadband into the saviour the operator needs. That segment already has other competitive elements that Econet has to deal with as well. In this telecoms environment, none of that is going to be easy. Now we are talking! This is great news. Let the dollar take its real value not the abuse we see in Zim where people still mistake as our yeater year Zim dollar. You see houses in Zim being sold for 500 000, thats madiness. And people like Dube earning that in a month. Same price you can by a house in London. The question is then: ls Harare same as London to command such prices? I read somewhere from our book economist that prices or economy is depreciating! I say what? The real power of $US is starting to show. You hear pple talking $300million like they are talking about 300 000. Let the shrinking and pay cuts continue until people know the real value of dollar. I know that but there are a lot of people like him who earns massive salaries for doing what in such small economy? Evil, pure evil, anyone who rejoices when other people are suffering is evil, some families are going to be affected in a big way and all you can think about is the power of the U.S dollar as if you are a representative of the U.S treasury. Your analysis wasn’t objective either in the sense that you don’t even know how much these people were earning at yet you rush to the conclusion that they were being overpaid. Let evil be!! Im rejoicing for the return to normal of economy in relation to what the country produce. Zim hav for long time been running in fantasy, people thinking they all be $US millionares by burning money like those Zim dollars days. Only in Zim where people demand and command high salaries for doing nothing. Why would we have to wait until end of year to see the impact, why not now? If I may ask, how much were these guys paid before the cuts? Ya, but how much? Do you have any example figures e.g Clerk gets US$450 e.t.c? Relative to the rest of the nation’s workforce, their salaries are pretty comfortable (relatively). They’ve maintained those super-awesome high salaries since after the start of dollarisation, when people were still psychologically, hyper-inflationary-minded. The adjustments make as much business sense as is the drive to normalise prices of basic goods and services. Actually, madchip or whatever your name is, you are not looking at the bigger picture. Please do so now before it is too late or you will be shocked as we crawl towards the end of year! The headline itself says a lot. Why didn’t they use a word like ‘cuts’ as you see in online tabloids and bloggers? Because they are using a sober mind! The ripple effect is too big to imagine. Im looking global, comparing what other giants in the same sector globally are doing and offering to their customers. It is the big ripple effect you cannot imagine lm putting my bet on to bring better changes and sanity. And yes people will suffer along the way. have you ever seen the inside of a 500 000 house in zim. plus dzimba dzekuglanso mamatchboxes zim has more space and rooms even padesign. I think you need to shut the f up! Houses don’t cost $500k, only some. People are looking for solution and you are busy being pompous as if people eat at your house. Prices adjusted a long time ago and what is happening now is a depression. If you go to Angola prices are incredibly high coz the economy supports that. Read also about New York etc. Its the economy stupid!!! Angola have oil and they are being led into the path of Nigeria. I do not need to read screwed New York because l work with oil data and companies so l know what goes behind the scenes!! You are right that its the economy bt ours is our own making! Its like everyone is waiting for a miracle to happen then they will start real work. …which was my point all along, why pay so high salaries? Our economy can not support that! In Angola they can like you said the economy is able to support that. Reckless comment. This is going to set a wrong precedent. Any idea how much the salaries where? What about the working hours? It’s all going to affect the economy. Why compare London to Harare? Because l earn in both cities l know where money gives me value. Let’s look this from a broader perspective. The economy seems not to be performing well to absorb what others may term high salaries. According to results posted by Econet, of the roughly $750m revenue, $78m is employee benefits which is salaries etc. let’s get the facts right first. There is something wrong here. Read strwart bank and its other sinsidies arent really making money its all write downs. In stewart bank its a 20million loss they pay every year. an expected move by Econet but in the absence of figures, we don’t have a clue whether this is the best way to solve their financial downturn. First, they need to address costs associated with expatriate packages. We have seen this business grow and succeed in the hands of a largely local management and leadership. Today, they have a high expatriate turnover and some of these merely duplicating staff and splitting roles into numerous positions. Secondly, they need to be a reality check on how much the local revenue is used to sustain outside operations. If the truth be told, Econet is merely facing a reduction in profits and not facing any threats even if the economic conditions are harsh. They have set a tone of very high margins and profits derived from their assertion that they are a premium brand in most of their products. This is why something was necessary to tap into their pocket through the various tax instruments and commissions so that the majority can benefit. Are we advocating that by merely facing a reduction in profit, then their employees must suffer a big cut? Surely they must do something to hold together the esteem and motivation that goes with this. What are they doing to reduce other operational costs outside of staff salaries ? Isn’t this time they must cut down on their broadened portifolio so that they can protect the core? Did they not recently expand into gas? Then what has suddenly gone wrong? Is this indirect pressure to the regulator and other stakeholders so that by applying pressure on employees, there will be more positive noise to revisit Tarrifs ? What figures do you need? They mad a profit of $70 million Dollars!!! 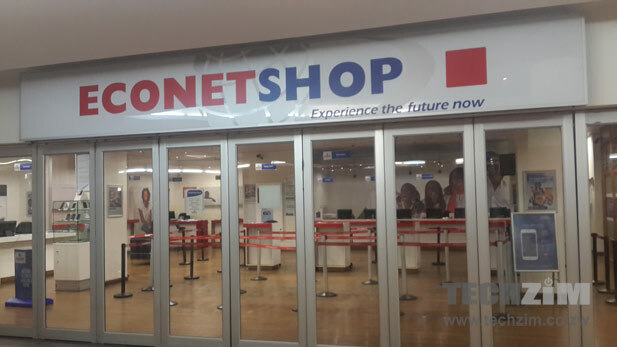 To operationalise the decision, Econet staff will work 26hrs per wk from the present 40hrs. The 35% salary reduction is therefore in line with the reduced working hours. The current Labour Laws prohibit salary cuts but allows for measures to be instituted to avoid retrenchment. In my view, the bigger picture is that Econet has set a precedence, a number of companies will follow suit, there will be a reduction in PAYE to government, employees’ buying power will be reduced by 35% further depressing VAT revenue to government; government is presently to finance civil service payroll – am just wondering the impact this will have on the fiscas!!!! Gvt needs to put its house in order before they start crying about reduced tax base. If l go to Telone asking for a service or any other gvt institute, they behave like l owe them money or like they have been force marched to work. When Telone started advertising their wifi, they were two representantives just outside there main office with billboards. I went there out of interest to ask about the service and the guys didnt even have a clue of what they were talking about. They behaved like people who have been forced to be outside. The paper was extremely dirt, not even a official paper, she just pull some dirty paper. Now tell me, so you call that a workforce which can turn around the fortunes of the company at large the economy? And l have seen this everywhere l go to get a service. Workers behave like you are asking them a free service. Econet behaves like a playground bully when we complained about service quality and other issues then did not respond so we retaliated by hitting them where their heart is revenue. It’s small actions by individuals that knocked revenue inflows. From using a minimum of $2 per day on their network I now only use my econet line as a receiver and use an alternative network for calls and mobile data. What’s more? I deliberately avoid calling econet numbers where an option is available. Blame POTRAZ. if mobile number portability is introduced then a person keeps their numver ands services (ecocash) and moves to a better network..
Iwewe, you seem determined on keeping your money away from Econet, But the issue here is it Econet or the economy? Well said, I have also done the same, Econet had grown too big for its shoes forgetting it is where it is because of the customer. Kuswerotipedzera nguva nezvimapromotions zvisina basa when others are offering real value for money!Nxa! I am happy the revenue is going down esp from voice services. I have moved over and my action is showing in their results. Measures to avoid retrenchment in terms of section 12D of the labour Act cannot be imposed, there is need for agreement and it is for a limited period (not exceeding a year). The reporter failed dismally to appraise the readers of the plans of the company after the expiry of the stipulated period of one year. The impression given to readers is that the salary cut will be permanent and employees have already agreed to it. With an after tax profit of $70 million I do not think the salary cut is justified, in a normal economy there will be huge exodus of employees ,however Econet is taking advantage of the economic situation and adopt an authoritarian approach. Econet is under the fallacy that it is indispensable and it should not be oblivious that it is what it is today because of the people of Zimbabwe. The same people can as well boycott its products leading to its down fall, I think everyone is now expecting the government to react to this issue as it is a clear challenge and retaliation coming from the telecom Giant after lowering of tariffs. Surely we cant reduce or cry because we dont know how the salaries were in the 1st place. If they were too high then come on guys, that was the only way, but if it was low then its very unfortunate and I sympathise with them. But from the figures I heard through rumours 35% cut of a middle manager who was earning $8000-00 will leave his/her salary at $5200-00 which by all standards is fair compared to a Zim average of $800-00 for those grades! It would be nice to know what the sales people in the shops were earning whom, I think, form the bulk of employees. I think that would give a clearer picture on whether this was ‘fair’ or not. Further rumors on salaries, anyone? How many of their employees are managers???? I suppose most of the employees are not managers and how much are they earning???? And you base your comment on rumors, surely?? This is certainly going to have a ripple effect as most companies will follow suit and low revenue to the government, retailers and service providers and suppliers and hameno!!! !